..the 55-year-old [Curtis] Westbrook -- who on Tuesday was arrested and began serving a 10-day jail term imposed by Bennington after she found him in contempt of court -- maintained City Court was not in session when he entered the auditorium on either Monday or Tuesday. Westbrook also insisted he had never encountered the judge on either day. A City Court document created on Tuesday reflects Bennington a day earlier had found Westbrook "guilty of direct contempt of court by creating confusion that disturbed the business and proceedings of the court by distributing a letter to undermine the authority of the court and to provide legal advice to defendants in the courtroom." When he returned to the court on Tuesday -- this time to attend a hearing in his son's case, not to pass out letters -- Westbrook said baliff [sic] Hahn passed on a warning from the judge. According to Westbrook, he was told if he entered the auditorium and sat down, "and she comes in, and the court opens up, you're going to be arrested for contempt of court. Because you're disrupting the court. You're giving advice." Westbrook said he entered the courtroom to chat briefly with his son -- again, before the judge took the bench and began the day's proceedings -- but purposely did not sit down. According to Westbrook's account, he then left the auditorium and briefly visited another office in City Hall. When he then returned to the building's main lobby, near the entrance to the auditorium, he was taken into custody by several city police officers and Hahn, and informed he had been found in contempt of court. 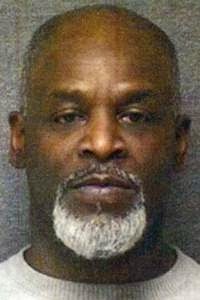 Westbrook said he was not told how long he was to remain in jail, learning of his 10-day sentence only when he read an article in Thursday's edition of The Star Press. As I have noted in my previous article on the subject, Judge Bennington clearly doesn't understand the difference between civil and criminal contempt. Civil contempt is remedial in measure and could have been used to stop Mr. Westbrook from passing out the letter in the auditorium/courtroom and to even confine him if necessary to keep him from disrupting court proceedings. But that's it. By proceeding to "sentence" him for his conduct, Judge Bennington crossed the line into criminal contempt. If Judge Bennington wanted Westbrook prosecuted, and sentenced to jail, she should have sworn out a complaint to the Delaware County Prosecutor. The Prosecutor has absolute discretion as to whether to file criminal contempt charges. If the charges are filed, Westbrook would have been brought before a judge (most certainly not Judge Bennington who could well be a witness in the case) and advised of his rights, including the right to a public defender if he can't afford an attorney, the right to present evidence and cross-examine witnesses, etc. I received a copy of the chronological case summary relating to Mr. Westbrook's contempt. The action is styled Muncie City Court v. Curtis Westbrook and given a miscellaneous civil cause number. The entry doe not indicate that Mr. Westbrook was ever brought before the court or provided any due process whatsoever before Judge Bennington imposed a 10 day sentence. That would be a problem. Last time I checked, both the United States and Indiana Constitutions require due process of law before someone is deprived of his or her liberty. While Judge Bennington has immunity from being sued for Mr. Westbrook's almost certainly illegal incarceration, the City of Muncie and the Delaware County Sheriff don't enjoy that same level of immunity. She also has handed her political opponents an issue to make the claim she lacks the temperament and judgment to be a judge. I'm sure the Indiana Supreme Court's judicial oversight function will take care of Judge Bennington.